Speech timing is crucial to fitting your speaking spot with your presentation. Speaking contests are a great way for you to learn and hone a variety of speaking and presentation skills. 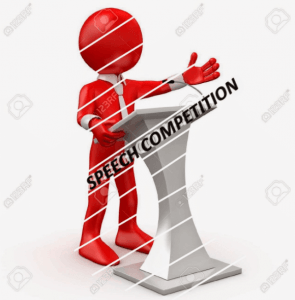 There are many reasons why you should compete in speech contests. First and foremost, surround yourself with those you would like to become. There is no better and practical method of becoming better than by actually practising and doing. Like any competition, you learn more and perform better when you are surrounded by experts in your chosen field. That environment raises the bar for you to strive for. It is no different with speech contests. For the purpose of this article, I will share in the context of Toastmasters speech contests, since we are in the midst of the spring international speech contest season for Toastmasters the world over. Toastmasters competitive speeches must be longer than 4 mintues and 30 seconds but less than 7 minutes and 30 seconds. Too short or too long, and you are disqualified, in secret of course, by the judges. Most speeches I have timed, come in around 7 minutes. That gives you 30 seconds of headroom to ensure you do not disqualify yourself. At one contest I came in at 6 minutes. My coach and I conferred later. I stated that I said all I had to say and didn’t want to droan on. I wanted to keep it short and sweet. She replied that I could have picked up extra points using that minute by making body jestures, facial expressions or injecting some vocal variety, with a target finish of 7 minutes. Your speech length will need to adjust on its journey from club, area, division, district. Your audience will grow in size from 20 at club to well over 1oo at district. As the audience gets bigger, so does the laugh window. The laugh window is the time from when the first person laughs to when the last person finishes laughing. A big audience has a laugh wave characteristic, much like “the wave” phenomenon at a sporting event. Rule is, “Never talk over your audience when they are laughing”. You won’t be heard and want to capture that energy from your audience. Audience laughter is dialogue back to you. Laughter becomes a (good) vicious circle feeding off itself. When Toastmasters compete at the World Championship of Public Speaking WCPS, the audience will be 2000+ . Use their laughter to your advantage. Laughter is a great way to connect. Savor their laughter. So what do you do while you are waiting for your audience to finish laughing? Throw in some non-verbals like facial expressions or body language. Give them something to watch while they are laughing. You feed off them and get a chance to score some easy points from the judges by adding body language, jestures or facial expressions. Use that laugh window to score some easy points from the judges. It also adds entertainment value to your speech. It makes you as a speaker interesting to watch. As the audience gets larger, a longer laugh window will have to be accommodated. The safest is to adjust and target your finishing time at 7 minutes, adjusting your delivery as your audience gets bigger. You wrote a fantastic speech. You love sharing your message. Whatever you do, do not disqualify yourself by going over 7:30 on your speech timing. Try to adjust your speech so you finish around the 7 minute mark; maximum of 7:15. That also allows for some timing irregularities that may occur, like when the timing starts and stops on jestures, which the timer may not be clear on. The timers numbers are always final. Keep yourself in the contest. So you are not a Toastmaster or into competing with speeches. What is your takeaway from this? When talking to people, understand that their laughter is dialogue back to you. Let them laugh and don’t talk over them. Laugh or atleast smile back in return, if you don’t have anything quick to say in response. If they laugh, it tells you something. If they don’t it tells you something else like maybe they don’t understand or agree. Even a smile back to you is dialogue and communicating in return. Though not a formal competition, every time we are speaking to others, we are communicating to 1, small groups or large gatherings. It becomes a form of competition. Keep yourself in the contest. Engage with your audience so you get that dialogue. Here’s to your competing and speaking success ! Communication skills are truly art. Not to take away from the infamous line, “I Have A Dream”, by Dr. Martin Luther King, I really did have a dream of my communication skills. Well, come to think of it ( I can still vividly remember it almost 2 days later), I was just getting ready to do 1 quick mental rehearsal prior to delivery, and then I woke up ! So I don’t know how it end. I think that is left to me in the conscious realm. Two days ago made it 09-09-09. The only event of signifigance for me, was this dream. I was at our up and coming Fall Conference slated for Novemer, 2009. I commit myself to compete and came there, Friday evening, with nothing more than several various ideas all swimming in my head. “Boy, am I asking for it !” I thought, as I was doing the usual “high school writing final exams” nightmare we still seem to get, decades after the fact. But I clearly recall that my urge, to just compete, inspired me to put together a plan and delivery, which was never tried and done before. I thought, “Why Not ??”. All they can do is disqualify me ! Atleast I will get a speech credit towards my AC-G.
How do you get inspired for your next speech? Is it a dream? Something happens at work? Something you read about? Or do you simply make something up and then talk about it? So I have to stop here from telling you more, because I will actually try it. I don’t want to spill the beans, nor embarass myself, if it truly becomes a total washout. We have always heard people saying they did something because they had a dream about doing it. Paul McCartney’s composition, “Let it Be” was inspired by a dream Mr. McCartney had about his mother telling him thoughts and words of wisdom. Look what he turned that song into ! When is Good Enough . . . Enough ? Speech Competition raises the bar. I haven’t competed very much in speech contests. It’s probably the best way to prove your communications and leadership skills. I only attended several speech contests at club, area, division and district. I only attended 1 International Convention in Calgary, sat in and absorbed the 10 competing speeches. I bought the entrie audio proceedings and listened to ALL 10 speeches with the accompanying interviews, many times. I became intrigued in the “Winning Speech” format. So I am far from being the “Speech Expert”. But this little involvement thus far has already piqued my interest into the metrics and details enough so, to simply ask, “What would create the winning speech at any and every level? Well, going into a year where I want to complete the next level of 10 speeches, I plan to forward a competing speech as well. Why not? I could get alot of experience out of it, regardless of wether I win or not. I realized that each year and subsequent completion of a speech contest, right from the club right on up to the WCPS (World Championship of Public Speaking), the bar gets raised each time, making it tougher for each new contestant, such as myself, to come up with “the winning speech”. What hasn’t been tried? What hasn’t been done? Would I purchase the last 5 or 10 years worth of videos and watch to see what pattern there is? Or what theme hasn’t been played too recently and is due for a rekindling, my way? If I come on stage and during my delivery, fall face flat, as 2001 WCPS winner Darren LaCroix did, would I be disqualified because I copied a previous contestant? I can’t use a theme which has been long played out, such as a cancer survivor. 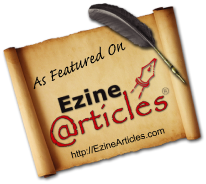 I can’t use a theme which is your typical sob story – rags to riches to rags story either. But looking at it from the other side, the competition side, you only have to be better than your competition at that time. Every contestant is graded against their competition. So if your competition is very good, you have to be better, to win. All in all, the bar does get raised slightly each and every year. So the longer I wait, the harder it will be to place either 1st, 2nd or 3rd.